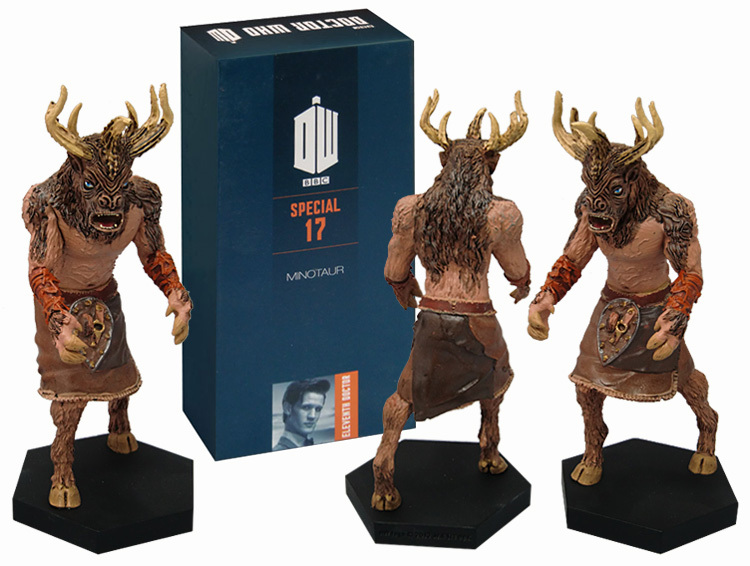 The monstrous Minotaur from the fantastic Eleventh Doctor adventure from 2011, The God Complex. The Doctor, Rory and Amy arrive in what looks like a hotel, but everything about it is fake – and the Doctor is fascinated to find out why. Unfortunately, the answer is that it’s a prison for a monstrous creature that feeds on faith, and if the Doctor doesn’t break Amy’s faith in him then she might become the latest victim of the Minotaur’s strange appetite! 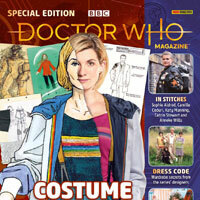 The mythical Minotaur has featured in Doctor Who no less than four times(we’re including the Nimon! ), but this latest version, designed by the brilliant monster makers at Millennium FX is by far the best. Standing at approximately 16cm tall, we have recreated the Minotaur figurine to specific standards, and our figurine is another essential addition to the ever-growing collection. Plus: 20-page magazine featuring the horned creature that had once been treated like a god – but now was feeding on people’s faith…! Looks like we will be getting that Drathro figurine around february next year. 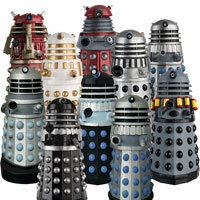 Does anybody have any idea what the next Rare subscription dalek might be?. 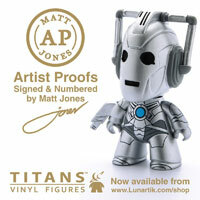 Got my alert from Eaglemoss, so should get this and the others by next week. Hopefully all painted well and unbroken. These figures have started to arrive now. As for the next rare Dalek, probably not the Battle Computer, but it’s anyone’s guess right now. Yes, that is the Battle Computer and the figurine (if made) will include the girl. 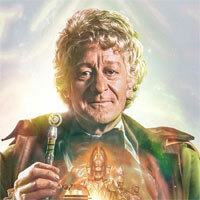 Other Paradigm Daleks may well be done, but I wouldn’t expect another just yet as the stone one is also soon. The Stengos Dalek is something I believe is really difficult for them to do, but they will hopefully be able to do it. 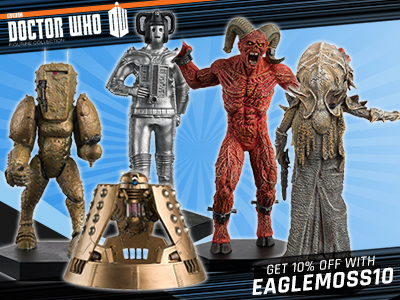 I don’t think they would do Davros as a ‘Rare Dalek’, but I too am hoping they at least do the ‘Genesis’ variant. Thing is, there can,t be that many daleks to do now. Maybe they should give subscribers something else completely when they exhaust the line..
Well it depends how many minor differences you take into account, there are plenty of grey Dalek variants left, though it would soon get boring. They can keep doing destroyed Daleks too. Although, since several Daleks are in the main collection too, I’m not sure the Daleks will last past 180-200 assuming the collection lasts that long. Can’t be that many? 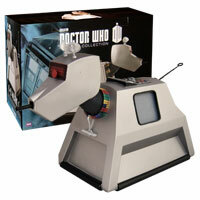 They could keep the collection going for two more years with just Dalek variants. There’s a LOT of Daleks out there. There are a few to do but all the main daleks have been covered. Your,e right werewolf, plenty of variants of the same thing would get pretty boring. 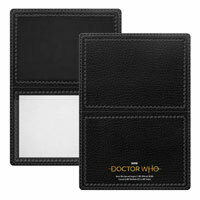 Like i say if they could finish the paradigm set maybe a few from revelation and the battle computer i,d be happy with those and even any ‘new’ daleks from Jodies era, if they have them back. I,d like all of those Davros variants. 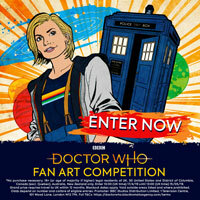 Wonder if they will do necros Fake Davros. (Head in the jar type thing) as a special edition as would be quite large. 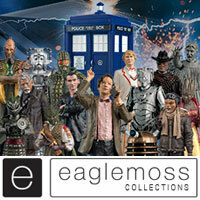 Booboo, is there any chance of the site opening up a fresh conversation/review thread for the Koquillion eaglemoss figurine? I would have started one, but don’t know how to start a thread. It’s getting lots of very good comments online from what I can see? Also, does anyone have an updated list of what’s coming along in the range? Looks great in hand. No problems with mine. Another excellent figurine. I had the same problem. Was it the two at the front either side of the middle one? Thought it was a stinker of an episode but the figure looks fantastic. Yes, this one is great. These figures get better and better. 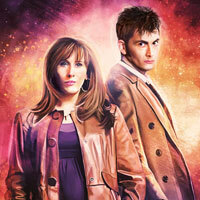 Funny, it was the only episode in Series 6 that I thought was not terrible.